Python Developer - Help us answer unanswerable questions! At least 1 year of commercial experience as a Python developer or equivalent. 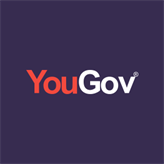 YouGov is an international, full service online market research organisation offering custom research, omnibus, field and tab services, qualitative research, syndicated products and market intelligence reports. Founded in the UK in 2000, YouGov is considered the pioneer of online market research. Our unique fully integrated online model has a well-documented and published track record illustrating the accuracy of its survey methods and in turn the quality of its client service work. We can conduct research in all continents and our online model allows clients to get international results faster and more cost-effectively than traditional methods, with no compromise on quality. YouGov has offices in the UK, US, Europe and the Middle East. It is our goal to understand the world you live in, the sector you operate in, and your brand, enabling us to provide you with a live stream of continuous, accurate data and insight into what people are thinking and doing all over the world. Information which not only serves in tackling current issues facing your organisation but also aims to offer a comprehensive understanding of your organisation and its place in the world we live in today. Frontend Developer - Help us discover what the world thinks! Want to get notified about new jobs at YouGov?